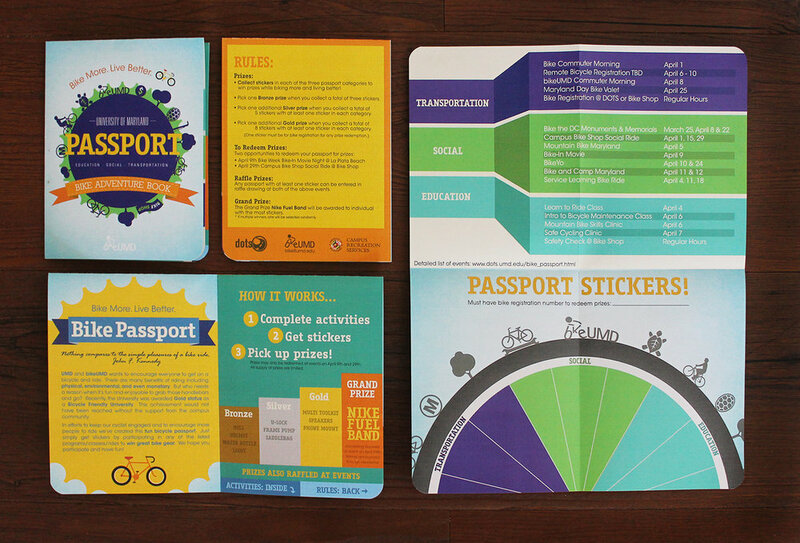 The Bike Passport is a program that I helped to get started while working at the Department of Transportation Services. 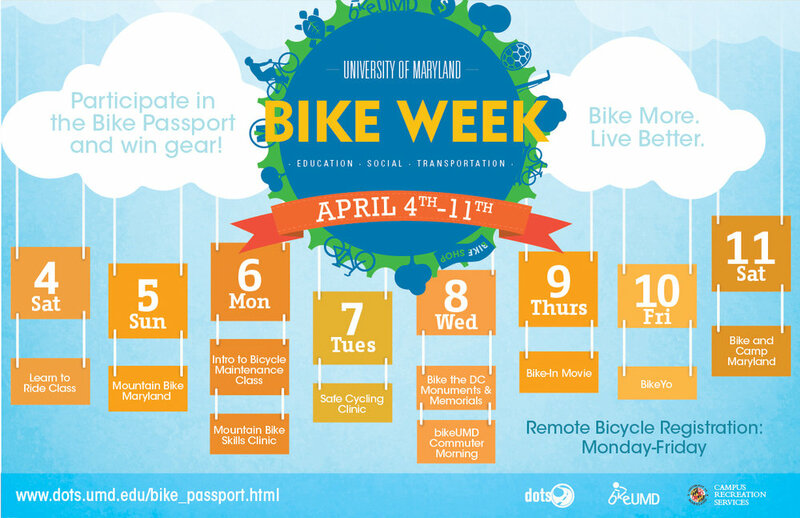 The passport encourages students to participate in biking events on campus. For each event a student attends, they receive a sticker that goes into the bike wheel on the inside page. The more events they participate in, the more prizes they can win. I created designs that were vibrant and playful to invite students to want to participate. Each semester I designed a new passport that was different from the last to catch the eye of previous users and also encourage new ones.